Why Do Adult Children Hate and Love Parents in Aging Dysfunctional Family? In the film version of Tracy Letts August in Osage County . Julia Roberts (the eldest daughter) attacks Meryl Streep (the pill popping aging mother) at a ritual family gathering- the elder Dad’s funeral after he commits suicide. In the dysfunctional family, there have been symptoms of problems such as alcohol abuse, drug abuse, child abuse, or emotional abuse, like the demeaning mother the character Meryl Streep plays in August in Osage County. These dysfunctions usually create barrier to nurturing and this affects everyone in the family system. The family system is also marked by ambivalence and all adults and children live in a love hate relationship with other family members. (Julia Roberts character and all the daughter both love and revile their mother ). As systems resist change, it is even more difficult for members of the dysfunctional family to move to make changes when their parent needs care, like Meryl Streep does in August in Osage County. Julia Roberts and none of the daughters will care for their despised mother. The nearly normal system is shaken to its core by the parent being dependent. However, a care manager can guide the family members into reorganizing their family roles when the parent can no longer act as head of the family, while acknowledging the shift and changes they need to make both emotionally and practically. The members of the dysfunctional family who may have experienced a lack of nurturing by their parent and have no role model of caring. They are angry and resentful at caring for the parent, and thus will find it difficult to provide the practical and emotional care that their aging parent needs. The challenge to the adult child of the dysfunctional family is how to meet the dependency needs of the here and now old-old parent when the parent did not meet them dependency needs as a child. 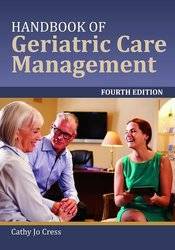 That is why they need a highly experienced aging life care manager, who can work with dysfunctional aging families. The challenge to the care manager is to bring the adult child of the dysfunctional family into the here and now and see their parents for who they are-: an aging dependent person, flawed and imperfect, but a human being who needs their love, support and nurturing. The normal family is the hand grenade compared to the nuclear bomb of the dysfunctional family .When both are faced with a filial crisis of aging an parent being dependent and the adult child needs to take over they cower or explode. Dysfunctional families have many characteristics. They lack the ability to resolve conflicts and have frequent psycho-social blockages that prevent the family from growing emotionally. They fail miserably at moving through all family stages and orchestrating family rituals . Most life transitions in the family, like birth, adolescence and marriage have been very difficult to make, marked by a lack of support from the parents. Every holiday might have been drunkenly ruined. The parental figures are usually not in charge, nurturing or able to establish establishes clear rules. They have never created an excel spread sheet on tasks to do to orchestrate a holiday. Like a disease spreading down generations, they never knew how themselves, as their parents wrecked the holidays too. The family is the inspiration for great literature. O’Neil’s wrenching plays A Long Day’s Journey into Night” portrays the most miserable of dysfunctional families. Alcohol, secrets that have been kept by all for generations splatter the pages of this great play like it does in all the ruined holidays children of dysfunctional families recall with horror. Prince of Tides a tale of a southern dysfunctional family gives us a timelier glimpses of a family whose center can never hold together and whose blood oozes all over everyone from one generation to the next. Award winning plays and films, like Tracey Letts August in Osage County about a ruined ritual funeral from hell when Julia Roberts tries to beat up drug addled, drunk presiding mother Meryl Streep. When Mom does not make the very small things she was able to pull off like the Latkes or the Christmas cookies she always made every Hanukkah and Christmas, someone has got to be the cook and resentments skyrocket – tempers flare – and the torch just might never get passed. The family is again thrown into crisis. That means someone must has to take over and the dysfunctional family has no model or spread sheet on pulling off holidays and caring for a parent who did not care for them. Holidays have traditionally been women’s job. Mothers are the high priestess of the ritual- like a Queen Elizabeth without servants. UK estimated the there are 25 to do’s women have on the holiday. It takes years to accumulate objects ritual dishes and religious objects used. It takes left side of your brain executive skills, plan and organize, remember details, do things based on your experience. Holidays are often done on auto pilot –recalling all the jobs that must be done year after year. 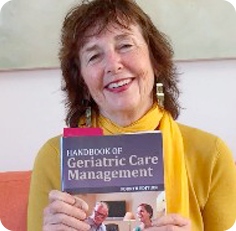 It also takes IADLs- (Instrumental Activities of Daily Living) meal planning, shopping, plus ambulation. Then add depression – widowhood, loss and you have the challenges of aging in managing this entire titanic ritual. At this point when Mom cannot do all the maybe 75 subsets of holiday preparation and the torch has to be passed and an adult child (usually an adult daughter must take over. This is like secession, – Princess Elizabeth taking over for her Dad, King George, (who hated it and had a lifelong stutter) made famous in the King’s Speech who was handed the throne by his brother Edward who quit being king. Check out the new series The Crown and you will get my analogy. 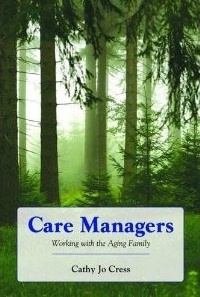 The baby boomer must transition to what social work pioneer Margaret Blenkner calls filial maturity or a new mature state where they, as midlife adults, can give up their former roles as dependent, needy children and start to provide care to their old/old parents, like managing of officiating over the Christmas or Hanukkah celebration. 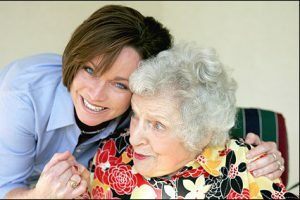 In the normal healthy family system this filial crisis of Holiday rituals can be overcome and the adult children with the brief help of an aging life or geriatric care manager so they can let go of their former dependent roles and confront their parent’s loss by organizing and providing care. They can take over Christmas and Hanukkah by stepping in and grabbing that torch. What Happens to The Holiday When The Aging High Priestess Can’t Make the Brisket? As we approach Hanukkah and Christmas holiday celebrations we can see where even the nearly normal family faces frustration and anger with a dependent older parent. Families often visit their parents on the holiday and see them in action repeating a ritual they have overseen for years. But what happens when the high priestess cannot offer up the feast? We will use the brisket and the Gingerbread house to illustrate this point. If an elderly Mom was always a devoted parent, in her role as the head of family rituals (as most mothers are), she probably always made the Crème de la crème of the Hanukkah ritual- the Brisket. But what if in her aging decline can’t make that brisket anymore? Someone has to take over not just making the latkes or gingerbread house but be the new head of the family ritual, which is so much more than just a gingerbread house. It could be making a menu, dividing dishes to bring, all the parts of the family holiday that someone has to spearhead. When Mom is dependent adult children can be resentful and even angry. Mom always took care of Christmas and us. Now one of us needs to take over this ritual and all rituals plus take care of her.This is called filial maturity. Most of us never reach it. The parent that nurtured the family now not only need nurturing herself but the family must reorganize and get a new chef for the brisket, baker of the gingerbread house and on a meta level – shift the roles that the parents filled to themselves. This can be gut wrenching. To the nearly normal family and make them angry, aggrieved. Why? It is a whole shift of balance in the family and change is difficult for all systems. What Happens When You Must Replace the High Priestess ( Aging Mother) of the Holiday ? What happens when an aging mother cannot be the high priestess of the holiday planning? Organize games or ceremonies. And on and exhaustingly on. When girls get married they get silver and china that’s usually get stored away and comes out of the dark cabinet for rare occasions. No one tells them that at 50, 60 70, there will be a critical use. Those dishes and silver are used to take over the holiday from their failing Mom who used to be the high priestess but cannot manage anymore or just wants to let go of it all because it is a mammoth overwhelming task. There is a missing ceremony is our world and that is passing on the role of high priestess to a younger woman in the family who will take over. It is called succession. But the transition is usually in a crisis with an aging Mom, not planned for, discussed and left until the floor falls through or Mom’s in the emergency room. The transition of power is not gradually made to accommodate the aging high priestess and rituals that provide the glue to the continuity of the family.